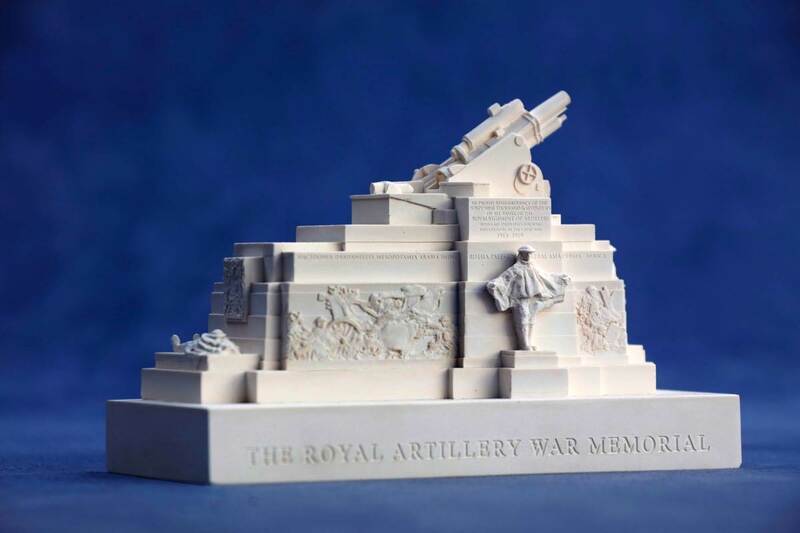 This miniature plaster model of The Royal Artillery War Memorial is hand finished in the Modern Souvenir Studios in Bath. 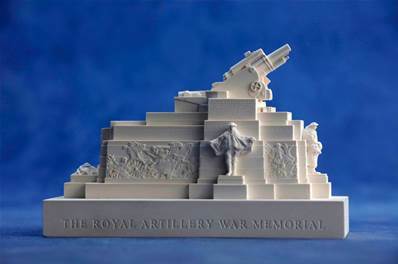 This model is cast in fine English gypsum plaster and hand finished. It shows the features of the Memorial in amazing detail. 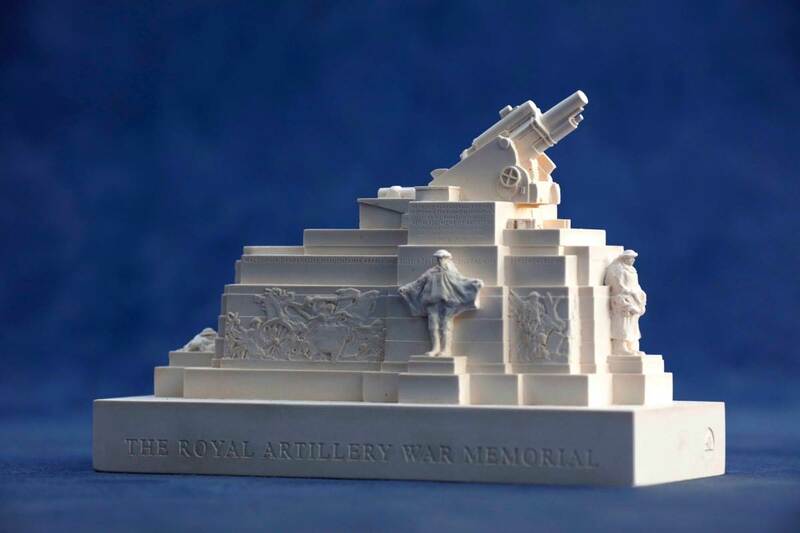 The memorial was designed by Charles Jagger and Lionel Pearson, and features a giant sculpture of a BL 9.2-inch MKI Howitzer upon a large plinth of Portland Stone with stone reliefs depicting scenes from the conflict. Four bronze figures of artillerymen are positioned around the outside of the memorial. The memorial is famous for its realist contrast with other First World War memorials, such as the Cenotaph designed by Edwin Lutyens, and attracted much public debate during the 20th century.